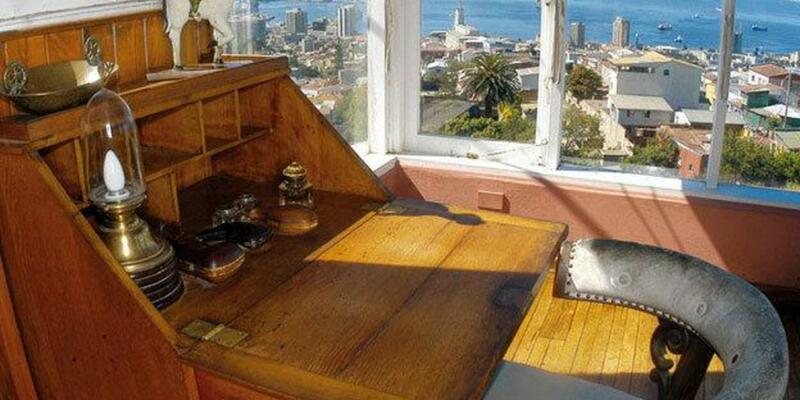 E-Learning Queen: Pablo Neruda’s home in Valparaiso, Chile. 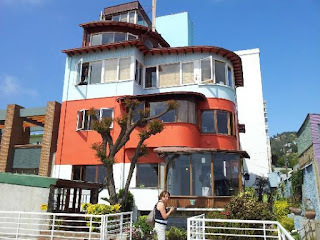 Pablo Neruda’s home in Valparaiso, Chile. I had the opportunity to visit Pablo Neruda's house during a trip to Chile a few years ago on a day trip from Santiago to Vina del Mar and Valparaiso. Valparaiso is an important port city and the site of a number of naval battles. Despite its vulnerability to devastating earthquakes, the last in 2010 and a particularly damaging one in 1906, Valparaiso has well-preserved stunning buildings and squares influenced by the German, Austrian, and French architecture. Valparaiso is a UNESCO World Heritage site, which translates into a great deal of local pride and general neatness. 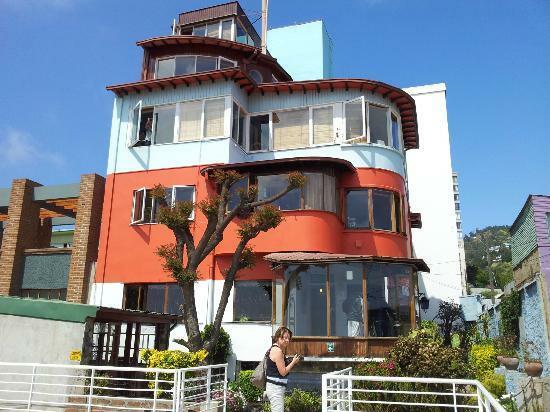 Pablo Neruda's house, "La Sebastiana," is located on a steep road on a hillside. You can see the Pacific Ocean from his rooftop balcony. I could imagine his writing Veinte poemas de amor y una canción desesperada (1924) and Residencia en la tierra (1931) with a fountain pen in his hand, clean, white sheets of paper in his notebook under his arm, and a stiff ocean breeze on his face. In the summer, I can imagine his using his handkerchief to blot the sticky saltiness of the air on his arms. You feel your quadriceps tremble as you ascend the almost vertical steps, your throat fill with joy. Pablo Neruda's poem, "A 'La Sebastiana'" lies on a desk, wonderfully inspirational. Here's the first stanza (I took slight liberties with the word choices, and for that, I refer to Lawrence Venuti's ideas about literary translations :)). I made it first of air. the brightness and the darkness. Here's a LINK to the rest of Neruda's poem. And, in line with what Neruda envisioned as a perfect house for writing, the house and the neighborhood are cheerful, intimate, but not invasive. I noticed that the colors were bright, and each house seemed to be painted a different bright, cheerful hue. The rooms seemed small, which is not how I would design a house, but perhaps the options are limited when the hillside is so steep. Valparaiso is still a critical port city. It is proud of its Navy, which undoubtedly was charged with maintaining the waters safe for commerce. If one thinks that this is a trivial duty, all one has to do is to look at Somalia, a failed state, and the fact that its waters are teaming with ersatz, improvised flotillas of pirate bandits who will attack and kidnap absolutely everything and anything. 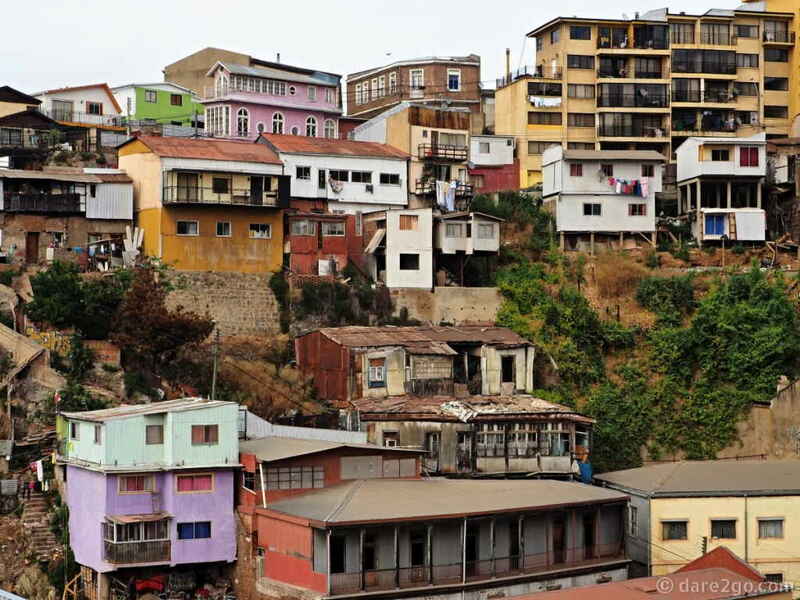 As I look at the narrow pathways up and down the steep hills, I reflect that Valparaiso was also the epicenter of conflicts as well as earthquakes. Bolivia used to own a part of the coast now claimed by Chile, and Spain fought to keep Chile as a part of its possessions. Later, with various economic adjustments and political conflicts, Valparaiso found itself in a strategic position. After visiting Neruda's house, I went with my small group to the Plaza Sotomayor, where we toured some of the historical buildings and took photos of the stunning sculptures and monuments. It gave me a sense of the context of Neruda's writing, and also of some of the influences on his view of nature, history, and heroism. I view Neruda as a philosophically heroic figure; perhaps not so much for his political stance (ephemeral -- do we even remember what that was?) but for his gift of poetry and the ability to illuminate human spirit. Looking out across the Pacific Ocean, one feels a sense of vastness and a sense of the infinite -- feelings so well evoked by Neruda's writing. One also feels a renewed sense of stewardship toward nature and harmonious coexistence with the oceans and all forms of life on earth.